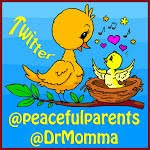 peaceful parenting: Where Are All the Happy Babies? I was so glad to meet a happy, confident, socially engaged baby this week. Baby Loren was a stark contrast to most babies (children under 2) that I encounter these days. Most tend to look distracted, unhappy, dazed, and pretty uninterested in others. And their eyes don't glow or communicate understanding like Loren's did. I even had a hard time finding a photo to put up with this post of a glowing, clued-in baby, whose eyes did not look wounded or clouded. Although babies obviously represent the future of your family, my family, our society, and the human race, fewer and fewer people in the United States seem to understand what babies need. Charles Blow has been documenting the declining support and wellbeing of children, as in his August 26th New York Times article, when he documents how many children in each U.S. state have food insecurity. Human babies, unlike any other creature, have only 25% of the brain developed at birth (assuming 40-42 weeks gestation at birth - i.e., full term). Most of what is available at birth are basic survival mechanisms that kick into gear when the child feels imbalanced or life-threatened (i.e. panic at separation from the caregiver). Unlike most other animals who are mobile at birth, humans emerge from the womb many months early because of head size. Social mammals like humans have lots of growing to do after birth too, and our ancestral parenting practices provide good early care that fosters optimal social and intellectual brain development. What's good care? Good care in the first year or more includes an 'external womb' kind of care (i.e., carried close to the body constantly, needs met immediately, nursing on demand). A baby's development unfolds on a set maturational schedule (with individual timing varying somewhat). Later capacities build on earlier ones. So if there is inadequate food or attention during this rapid-growth period, the brain will build less-than-optimal systems (i.e., neurotransmitter systems receptor number and activity can be lowered by poor care, which affects how well your memory is set up to work later on -- not so well!). A poor foundation leads to poor mental and physical health later (which sometimes may not show up until adolescence or adulthood). The brain typically grows to 60% adult size by 12 months and is co-constructed by experience. So you can see that the caregiver has a great effect on how well the brain grows. Thus, care in the first years of life is critical for optimal brain and body development, for intellectual, social and emotional intelligence. What does baby want/need desperately in the first two years when the brain is growing so quickly? Caregiver constant touch (holding, carrying, wearing) keeps DNA synthesis and growth hormone going. Separation from a caregiver's body shuts both down (Schanberg, 1995). (Have you noticed how distressed a baby gets when isolated? Separation hurts - literally.) Intelligence later in childhood is related to head size growth in the first year of life (Gale et al., 2006). Caregiver responsiveness to needs. Babies don't have any capabilities for self-care at birth. They need caregivers to teach their bodies and brains to stay calm so they can grow well. When young babies nonverbally gesture discomfort, it means they feel pain and should be attended to immediately. 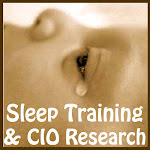 Babies should not have to cry to have their needs met because crying releases cortisol, killing brain cells. Avoid distress. Until around age 5, children need protection from stressful situations. Their brains are not yet capable of dealing with loud noises or sudden visual transformations. They need a caregiver's compassionate physical presence to get calm from sudden distress. Later on a child will naturally grow to comfort self when the caregiver is unavailable, based on this early sense of security and systems that were coached to calm themselves. Avoid discomfort. When a baby starts to gesture discomfort indicating some kind of imbalance, the caregiver can provide touch (carrying/wearing, rocking) or the breast for non-nutritive suckling or breastmilk. Meeting a baby's needs quickly when a baby communicates a need builds the child's confidence in the self's ability to get needs met. This confidence stays with the child thereafter, leading to confident, securely attached, independent children later in life. Avoid crying. When babies are left to cry, they build a more stress-reactive brain (for the longterm) that will have a harder time calming itself. Later on, depression, anxiety and aggression are more likely. They learn not to trust the world or people, thereby becoming more focused on themselves. In contrast, caregiver responsiveness to the needs of baby fosters a pleasant personality. In cultures where babies do not cry (because they are not separated from their caregiver and never left unfed or untouched), there are no 'terrible twos' (see additional). Breastmilk. Provided mother is not severely malnourished, breastmilk provides all the nutrition needed to build a well-functioning brain and body. Neurotransmitters like serotonin are fostered by the alpha-lactalbumin, rich in tryptophan, in breastmilk. All immunoglobulins are provided by mother's milk, plus antibodies for any viruses and bacteria in the vicinity. Exclusive breastfeeding (i.e. nothing but mother's milk to eat or drink) for at least the first 6-12 months of baby's life, ensure these benefits will be unimpeded by the pathogens and imbalances that formula encourages (see additional). Frequent, on cue breastmilk feeding. Breastmilk is mostly amino acids which are fundamental to building a good brain. 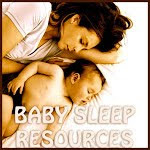 Baby feeds frequently to flood the brain with these needed building blocks. If the baby is put on a parent-directed schedule, or an infant formula that makes babies sleep deeply (which is unnatural and unhealthy), opportunities to provide brain-building nutrients will be missed, not to mention the distress it will cause in the baby. This again leads to a stressed brain, increased cortisol, less optimal growth, less flexible self-comforting. If we don't give babies what they need, should we be surprised that children's academic performance and social behavior is on the downswing? 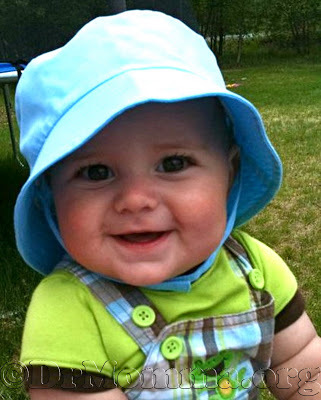 Babies need responsive caregivers, 24 hours, 7 days a week. Parents cannot do this alone. It means we need to restructure society, going back to ways that are supportive of babies. How do we facilitate optimal child growth without putting it all on parents? We should be thinking about, planning for, and implementing cultural changes to facilitate structural changes. Family Wellbeing. Parents need to be able to provide for their families without working day and night. They need decent jobs that pay enough so that one job is enough for a family to live on. It has been noted that our ancestors controlled their desires, desiring very little. Our culture does the opposite, increasing desires for things that don't really make us happy but keep us distracted. (See Bishop's book, More.) Maybe the economic downturn is a chance to shift our priorities from acquiring things to getting pleasure from relationships (the focus of our ancestors and many other cultures around the world today). Family Health. We need to focus on prevention and fostering good health, instead of interventions after things have already gone wrong. This means healthcare that starts babies right, with as little interference at birth as possible. The time around childbirth is a sensitive period for establishing longterm patterns of interaction, including bonding and secure attachment. 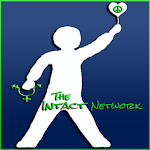 There should be no genital cutting ('circumcision') in early life as it affects bonding, attachment, pain reception, and breastfeeding success. 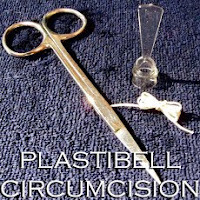 [Editor's note: U.S. style genital cutting also removes the vital prepuce organ, impacting babies immediately and long term as adults.] Our medical system should be careful and cautious about interfering with natural processes (i.e., breastfeeding, delayed cord clamping, skin-to-skin between baby and mother, etc.) during this period. Family Time. 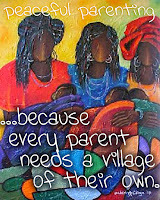 Parents need time to be with their children in positive ways and both need time with supportive community members. Having community nurses who visit new mothers in their homes is a proven way to improve childrearing. Trust is fostered in early life through responsive care - to always have our needs met, even during times when mom needs a break. If most of us did not get the nearly constant support needed as babies and young children, with little distress, chances are we are not very trusting as adults. And indeed, trust levels in the United States have been decreasing over the last decades. We will have to figure out how to slow ourselves down enough to pay attention to our neighbors in positive ways and build the trust that comes from familiarity in supportive communities. Caregiver Attention. Young children need responsive parents or else their brains, bodies, and sociality are undernourished. Parents who are well themselves, and calm, who are secretly attached with their child, and who have time for an emotional connection with their child are better able to be attentive -- which is just what children need. This does not mean intrusive, controlling, insensitive attention, but respectful, honoring attention that responds sensitively to a child's emotional cues. Extended Families. We must facilitate keeping extended families together, allowing them to be in the same house if they so choose (zoning laws have made this illegal in some places). Then other family members can take on some of the household tasks for parents as well as assisting with childcare. Workplaces. Babies can and should be at work with mom. (See Babies at Work Program,) This means that work schedules and work places must be flexible. This means that parents must be able to manage and make up for decreased night sleeping (i.e., afternoon siestas). Some jobs are just not appropriate for new moms and new dads (soldiering, for example) and so we must encourage workplaces to allow extended parental leaves in the first years of baby's life, as done in other advanced nations. Politicians. In Switzerland, preschools are often built next to retirement communities so that the younger and older generations can easily intermingle. Such proposals are built on wisdom about what helps people of all ages thrive. Many U.S. politicians seem to have lost their intuitions and wisdom about these things. To remedy this lack of understanding, I propose that we make sure that politicians hold babies and play with young children regularly. High testosterone correlates with low empathy, and there's been quite a lot of both among politicians in the news. Holding babies lowers testosterone. The hope (to be tested) is that politicians will think of the babies and children when they write and pass laws and design budgets. Pleasure. We've had a couple of generations now that have learned to not take great pleasure in being with children, so it may take a few generations to get back to a healthy pleasure balance. But childrearing within community is very pleasurable (if parenting in a baby-friendly manner so that children grow to have pleasant personalities, as do the adults). Happy babies make for happy communities. If we attend to what children need from before birth onward, they will be pleasant and happy. It is the denial of their needs that pushes them into being fussy and ornery and oppositional and unpleasant. However, we all have to pitch in. But, you might say, doesn't the glowing baby, Loren, count as a happy baby? Doesn't his existence counter my hypothesis of decreasing happy babies in the United States? Nope. Loren is not from the U.S. -- he is from Switzerland, a place with many policies in place to support wellbeing in both families and babies. Are you treating your baby like a prisoner? Schanberg, S. (1995). "The genetic basis for touch effects." In T. Field (Ed. ), Touch and Early Experience (pp. 67-80). Mahwah, NJ: Erlbaum. "ed? Separation hurts - literally.) Intelligence later in childhood is related to head size growth in the first year of life (Gale et al., 2006)." Considering my six-month old apparently has a head the size an average 12-month old should have, I'm quite happy to read this! Yes. Yes! And again...YES! Thank you for writing my new "go-to-handout" for all of the parents I work with. I would just like to share that my babies, my twin 19 month olds, are happy. They glow, they're thriving, and it is amazingly wonderful to see. My husband and I restructured our lives around the needs of our babies, despite the naysayers we encountered. We chose this. We chose children, and doing what needs to be done is nothing more than expected. Thank you for a cogent, share-able article. This makes so much sense, thank you for this article! I have heard remarks from total strangers and friends/family my son's entire life about how happy and engaged/observant he is, and he truly pulls people in and spreads his joy to them- and he was born peacefully at home, put to breast immediately, never cut (circumcised), never poked (with needles, shots) and co-slept, and lived in his sling on my chest. He is now, at 5, the most independent, secure, social, happy little peanut I have ever known!! Thank you, thank you, thank you!!! It is so encouraging when science (repeatedly!) 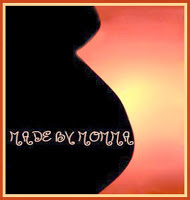 backs up our instincts to mother gently and care for our babies as they were intended to be cared for. There are days when it is really tough to keep doing what we do when it forever goes unappreciated and un-acknowledged. It is just nice to have someone (even a stranger via their article) writing in a way to say, "Good job, Mom!" So, thank you! Just yesterday at a birthday party, I overheard someone say to my 2.5 year old "you are such a happy girl aren't you?" I know she is, but it was such a warm feeling to hear someone else say it...someone who doesn't even know her but can see that is her essence! My daughter is 2.5 and has always been happy. People always comment on how happy and excited about life she is. my co-sleeping, breast-fed on cue 13 month old daughter is happy!! My 14 month old is a really happy kid. I still don't really know what this thing called a 'tantrum' that everyone's talking about looks like. At 4 months my LO is sooooo happy. Last night she was crying for some reason, and my husband and I almost took her to the ER because we were scared something was seriously wrong... because she such a happy baby, crying just doesnt happen. Thank you for this wonderful and much-needed article. You have done a great job pulling together all the research that demonstrates that babies and very young children need the constant responsiveness and reassurance of their caregiver(s). In our society, this is still frequently mistaken as "spoiling the child." We live in a world obsessed with creating independent individuals and demand it of children who simply don't have the brain structure yet to be that way. As a clinician in private practice, I see the devastating effects of mis-attuned parenting every day. My patients usually don't remember this far back and frequently talk about their parents' insensitivity during teen years etc., but it is often quite clear that the "imprint" for inadequate nurturing was laid much earlier. I think what you are seeing in the glazed over eyes of our babies is fear, PTSD. They are reeling from the treatment they received in the hospitals. If you could help push for babies to have natural births, to be breastfed, not circumcised or overmedicated (especially over vaccinated), you would see a lot more very alert babies. People always ask me "does she ever cry?" This is such a breath of fresh air! Someone who *gets it* and isn't afraid to put their professional work on the line to back up some basic facts about human nature and infant development. I've read almost all the books listed above, and am excited to go check out the other articles now as well. But in my terribly unfriendly-baby-world we are almost the only family here whose children are truly happy, involved, attached, secure and not constantly being complained about (or avoided) by their parents. It breaks my heart that people think this ugly manner of treating kids is 'normal' - how did we become so detached as a species? Mine are all very happy too! My seven year old was a VERY unhappy baby - she had what we thought was colic but turned out tobe cerebral palsy affecting her mouth, so she couldn't get as much breastmilk as her little body needed. This was discovered at 8 months, after I took her to doctor after doctor. Despite all of that, she is a happy, outgoing, energetic little person. I think that the constant holding, rocking, nursing, love, and affection helped her overcome all the obstacles that her CP caused. My other four babies were easy, happy, lovable, squishy kids. And they stilla re! People always comment on how happy all five of my kids are! I've just found your blog and am amazed at the wealth of beautiful, knowledgeable writing I find here to share with friends. Oh and I can answer your question. All the happy, connected babies live in Eugene, Oregon, with their sling wearing, attentive, nurturing, gentle, breast feeding on demand, smart, attachment practicing parents. Our son is 18 months old, and is extremely happy. Everybody comments on it, ever since he was about four months old. He is plump and jolly, usually beaming and laughing. His eyes sparkle and shine. Total strangers whip out their camera phones and take his photo without my permission, apologizing only when they are caught. They say things like, "I'm sorry... I couldn't help it. He's so HAPPY! I had to get a picture!". He has bad days, sure. When he is teething, or sick. But on those days, he gets extra boobies, and extra hugs and cuddles, and he knows he is loved. He has never thrown a tantrum, and he is very socially advanced for his age. He waves at everyone and smiles with his eyes, passing out cheerful hellos to everyone who walks by. It's always amazing to me how, oftentimes, the first people ready to compliment me on how joyful and delightful our son is happen to also be the first people to scold me for carrying him too much, to nursing him too long, and everything in between. They want me to let him CIO like they do, and get him to sleep in his crib like their own babies do or did. They ask me why we stirred the family pot and downright refused to circumcise him, even though we are Jewish. They constantly bombard me with questions that sound far more like backhanded compliments and critiques, and then a split second later, BEG me to tell them my secret to having such a happy joyful baby. It makes me both amused and sad. So many people who simply refuse to see the forest through the trees. The single most common question I hear when I am out and about with my nursing, sling loving twin 19 mo old twin son and daughter is, "They are so happy. Why are they so happy?!?" Thank you for mentioning the light in children's eyes --- I too see them being extinguished in the way our society parents them and the way our teachers teach them. Thankfully, my 8 and 11 yr old daughters still light up a room. They know the personal freedom and power that comes from positive parenting. It has been and is an amazing to watch them live and grow as the powerful, beautiful souls that they are (and HAVE been since birth. Nice article! I have wondered this also; growing up I didn't like to be around children much, because they didn't seem happy! Now I have my own happy baby (20 months old) who is perfect and smiles ALL THE TIME. Sure she cries sometimes, but there is almost always a good reason (isn't that true with babies anyway? We just have to believe that their reason is a good one!). People comment all the time on how sociable and "smart" she is. I'm sure she's smart, but really they are commenting on her interactions and interest in everything. Some people think that I "spoil" her, but I don't think it's possible to spoil a baby that young. Their needs need to be met. Those people probably wouldn't want to be around her as much if she wasn't "spoiled!" Just as Sara mentioned, I realized too that when I was growing up I never wanted to be around babies or young children because they always seemed miserable. Knowing what I know now, it is painfully clear why this was the case -- the way they were always treated. :/ Tragic as it is, we now have babies and children of our own who are always happy - people are so curious as to the reasons for this. Can kids really be THIS happy and this much of a joy to be around? The answer is yes! All they need is friendly parenting that truly meets their needs from the beginning - especially in the first 36 months of life. LOVE it! 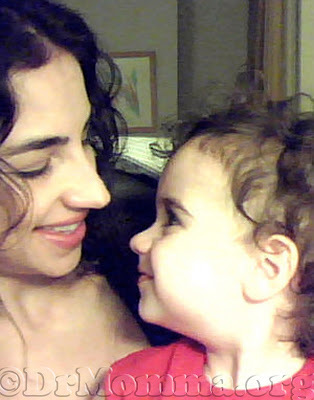 It is trying at times - but I am so happy and lucky and fortunate to be able to spend every day, all day with my baby. 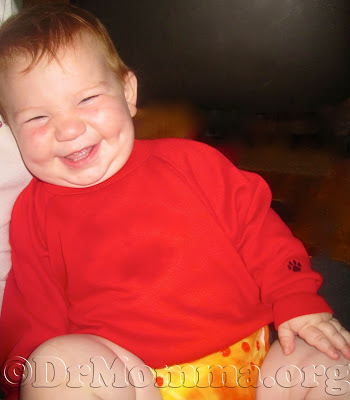 He is 7 and a half months old now and I am often told what a happy baby he is and how smiley he is. I love him so much and am cherishing this time with him. Thank you for this article and just a boost, with all the other influences telling you otherwise, that what my husband and I are doing in raising our son is right and good and special!!! My Dad - who has 4 kids and 4 grandkids - has told me he has never seen such a happy baby. Love it! From the point of view of a mother who is physically unable to breastfeed because of structural breast issues, an article like this can seem very negative. 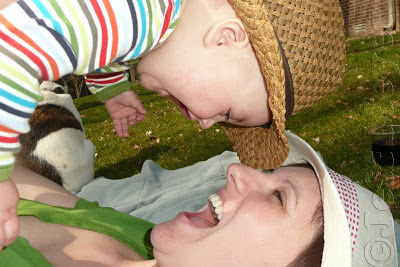 My children had to have formula via the breast or bottle in infancy but are joyful, connected children. It is possible to have beautiful, intelligent, happy, engaged children even if they have to have formula. My physical body may have not worked right but I can give them all of the other things they need. I loved reading this! I Did all of this execept a gentle birth sadly a "doctor" damaged my cervix so badly I can not give birth, I must have c-secs and as often happens when there is medical interventions 1 often makes another needed and another! My daughter had savere jauntice and my son couldn't breath right, he spent several days in the NICU! The second I could get them out of the hospital I did, and we went home did what I call cacooning we wrapped our babies and our family in love! I remember when my 1st baby was 3 months old and my mother came for a visit (her first) I was cooking dinner and my daughter was laying in her craddle, I didn't wear her while cooking for fear of her getting burned so I had a craddle close enough that she could see me but out of harms way, my mother was getting more and more upset because every time my daughter made a sound I would go and talk to her or what ever was needed at one point I turned dinner off and picked her up and sat down to nurse her and my mother flipped out wanting to know why I did that since she wasn't even crying and I told her because she was hungery! I asked her why she was so upset she told me I was spoiling her and the whole time she had been there she had only heard her cry once (I was in the bathroom) and I said to her that I knew my daughter didn't cry, and wasn't it wonderful? She didn't and still doesn't understand.If you answer your babies when they ask for something the don't ever have to cry! It's funny even though she thinks I was and still am a bad mother she enjoyed being around my kids more than her other fussy and and very unhappy grandkids! Thank you so much for trying to help parents understand what their babies REALLY need and that it's not about stuff! What they need most are parents that listen to them and respond! Both of my children are very happy and my oldest was a happy baby (the youngest still IS a happy baby). My husband and I care for them day and night (we work opposite schedules to make ends meet and live in a small apartment so that we can afford this lifestyle). Housing is expensive in California, but this is where our families live and it is hard to start anew elsewhere. My workplace is very accommodating. They have a "mom room" with a couch for nursing/pumping. My husband brings the baby (and when my first child was a baby brought her too) up for lunch time, so I only have to pump on my breaks. Then we go down into the cafeteria and have lunch together as a family and visit with our coworkers. Both of my daughters are referred to as "the County babies" (I work for a county government) and everyone knows them by name and has watched them grow up. I still don't do all the "right" things when it comes to "alternative" parenting (I don't have facilities to do cloth diapers and am too poor for a diaper service, so I do disposables, we buy most of our fruits and veggies from produce stands but usually don't go for designer "organic" foods, we are adamant vaccinators, etc), but we have a family bed, I breastfeed with child-led weaning, I nurse my baby after she gets her shots at the doctor (she cries for maybe five seconds), every child has a special song with her name in it that I sing for them. My oldest daughter often comes to me and says, "do you want a hug?" and I always tell her "I LOVE hugs!" even if I'm not exactly in a huggy mood. When I'm sick, they cuddle on me because I cuddle on them when they need it too. The hardest part is night time bath/shower time. I try to take the girls into the shower together, but I have to hold the baby and it's hard to wash everyone with a baby in one arm. But if I leave the baby in the playpen (she's starting to crawl off of beds and pull stuff over on her, so I can't leave her unattended in the room), she screams and screams and screams until I come get her (when I pick her up, she instantly stops crying and relaxes, but her poor little red face and shaking body breaks my heart). So I need to have my hands free to wash my older daughter and make sure she's rinsed off and then help her get ready for bed, but I hate hearing the baby cry (and there's no one else at home for most of the week as husband is working evenings). Your question was asked at the Peaceful Parenting FB Page Wall here: https://www.facebook.com/peacefulparenting/posts/10151500464152671 Maybe there will be some helpful tips that have worked for others with babies and bathtime. :) We used a bouncy seat in the bathroom, right outside the tub, and/or brought both kids into the bath (all of us sitting) and washed while sitting (pouring a cup of water over hair if/when needed). A sling or carrier for the baby would be my suggestion. Wear the baby :) I am a VBE (volunteer babywearing instructor) I don't particularly like the seven sling carrier for use our and about. They tend to not be as safe as other types of carriers, however, they are perfect for the shower! You can go to seven sling website (they are frequently sending out codes for a free carrier you just pay shipping) or if you are crafty you can make one. Seven slings is a brand, they style is a pocket carrier. I don't like hearing babies cry either, good luck :) oh yeah if you need more information, look up the local chapter of the International baby wearing association, they may meet in your area. Get a sling to carry the baby. I like the Maya wrap, it's very comfortable and leaves your hands free.